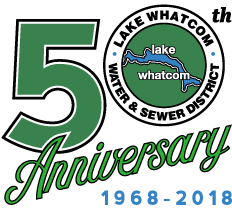 The purpose of the Water System Comprehensive Plan is to assist Lake Whatcom Water and Sewer District in making the best use of available resources to provide high quality water service and to protect the health of the District’s customers. The Water System Plan guides the District in its decision-making regarding capital improvements and operations. It will also help the Washington State Department of Health verify that the District’s water systems comply with the federal Safe Drinking Water Act and relevant state regulations. The District is required by the state to update its Water and Sewer Comprehensive Plans every six – ten years.